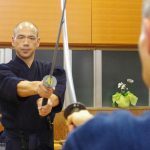 How did Takuan Sōhō influence Miyamoto Musashi? Takuan Sōhō (1573~1646) was a Zen Master of the Rinzai School who had an enormous impact on Japanese culture. He was known as a Zen Priest with a rebellious spirit, and his life was colored with incidents that bear witness to that reputation. Appointed at the age of 37 to the prestigious position of Chief Priest of Daitokuji Temple, he quit the position after just 3 days. As we will soon see, he even lived up to his defiant reputation in his final Will and Testament! He was a prolific writer, and left many volumes of his writings. 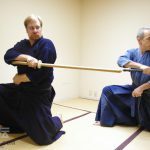 His best-known work is The Unfettered Mind (Fudōchi Shimmyō Roku), which he wrote for Yagyū Munenori, founder of the Edo Branch of the Yagyū Shinkage-ryū, in which he used Strategy and Mastery of the Sword as a metaphor to teach how to live by the Way of Zen. Takuan Sōhō was a contemporary of Miyamoto Musashi. 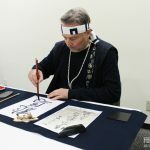 There are many parallels in the philosophy expounded by Takuan Sōhō in The Unfettered Mind, and the ideas which Miyamoto Musashi wrote about in The Book of Five Rings. They both wrote of the Non-Abiding Mind, and the Action of Spark and Stone. Takuan used the analogy of seeing the entire tree, rather than focusing on a single red leaf. Musashi wrote about gazing softly at distant mountains, and the difference between looking and seeing. There are many similarities in their ideas and analogies. Can these parallels be entirely coincidental? Could there be an indirect connection through which they could have influenced each other? 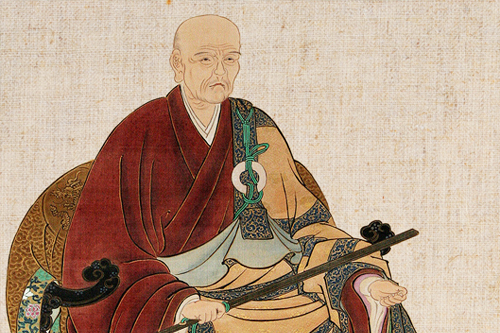 Widely known as a Zen Priest, Takuan was deeply admired by a number of Samurai and Daimyō Lords. Musashi’s reputation as an exceptional sword master would have easily preceded him. While there is no record that the two men actually met face to face, it seems quite plausible that they would have heard about each other, and that each would have known something about the other. As it turns out, there is a point at which these two remarkable men could have had a close connection. It would have been through Hosokawa Tadatoshi, the Daimyō Lord of the Higo Kumamoto Clan. Hosokawa Tadatoshi was born about the same time as Miyamoto Musashi, and both men died at roughly the same age. Takuan was born ten years before Musashi, but also died at around the same time as Musashi. 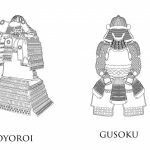 Hosokawa Tadatoshi was a student of Yagyū Munenori, who appraised Tadayoshi’s abilities so highly that he wrote for him what was to become a very influential book, The Life-Giving Sword: Secret Teachings from the House of the Shogun (Heihō Kadensho). Takuan was on close terms with Yagyū Munenori, and Takuan also presented Hosokawa Tadatoshi with a special name or title. Tadatoshi was known in later years to have entertained Miyamoto Musashi as a special guest when Musashi was engaged by the Hosokawa Clan. Even though Takuan and Musashi may never have met face to face, through Hosokawa Tadatoshi, they had a very strong mutual connection. 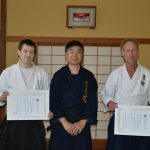 These four men, Takuan Sōhō, Yagyū Munenori, Hosokawa Tadatoshi, and Miyamoto Musashi, were physically connected by a small degree of separation, and spiritually connected by the Way of Zen and the Sword. Beyond this, it is for historians to speculate on when or whether Takuan and Musashi might have ever met in person. 夢 (yume) means Dream, or Vision, painted by Takuan Sōhō. First look comprehensively at the character as a whole. One unusual feature of the way in which Takuan painted this character is the way in which the strokes of the grass radical艹, the first three strokes of the character, all clash together like a pair of cymbals! The third stroke even reaches far enough to touch the radical beneath. It is as if the strokes are stricken as much as written, closing off the internal space between them like a wooden clapper. The handwriting reflects a character that is unconcerned with profit and loss, and sees no separation between thought and action. 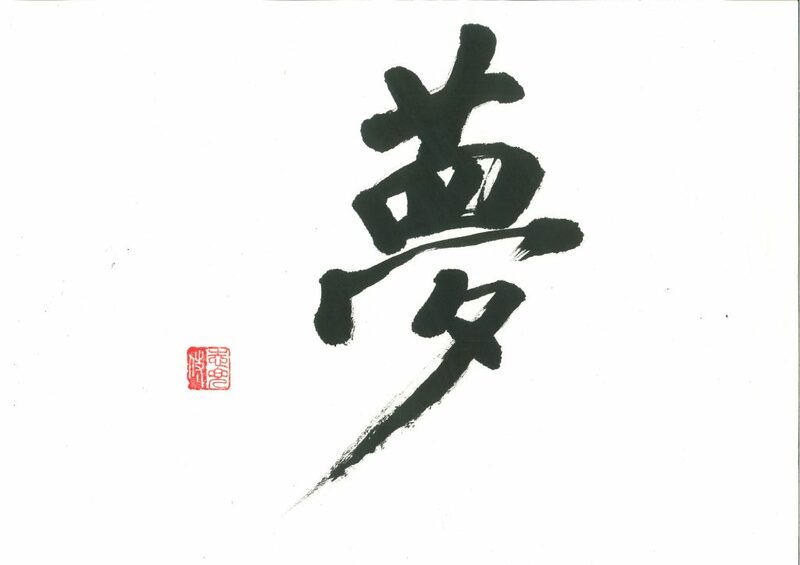 The next characteristic of Takuan’s calligraphy is the joining of adjacent strokes (seppitsu hei-gata), such as strokes 4 and 5, and strokes 9 and 10. When a short vertical stroke is followed by a corner stroke, such as in the character for mouth 口, if the first and second strokes are tightly connected it is called a closed connection (seppitsu hei-gata), and if the first and second strokes are written with a separation it is called an open connection (seppitsu kai-gata). The character associated with a closed connection once decided takes action, serious and sober, unwavering. We can see Takuan as a man that had a severe side regarding what was right or wrong. Such is a man who at the age of 37, being appointed as the 153rd generation Chief Abbot of Daitokuji, could walk away from it after only 3 days. Such is a man who became implicated in the Purple Robe Incident, wherein despite the strict regulations imposed by the Shogunate on Zen Priests on who could receive Purple Robes and Monk’s Stole from the Imperial Court, Takuan persisted in following the customs that had preceded the new regulations. For his stubborn insistance despite Shogunal decree, Takuan was banished as punishment to the mountains of Dewa. Although he was pardoned and returned 3 years later, this was one indication of his strong-willed insistence to act on his beliefs, regardless of consequences. He certainly sought no position based on political or personal gain. 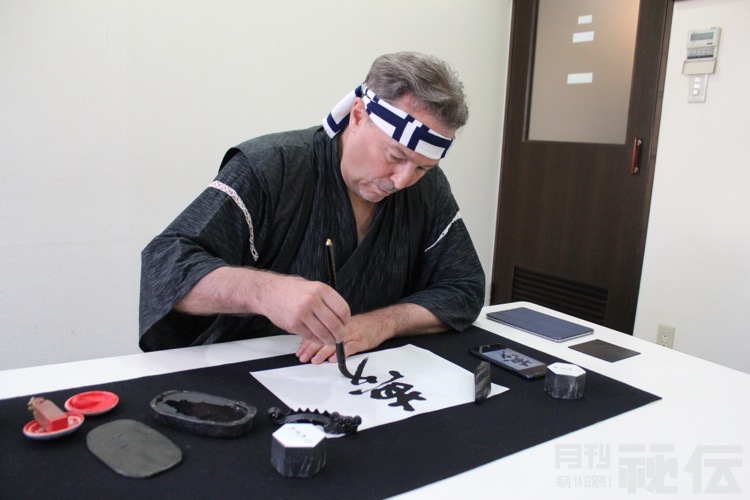 Further elements of Takuan’s character are revealed in the final two strokes of the character. The diagonal stroke from upper right to lower left is a straight cut without a trace of hesitation. The final stroke which completes the タ radical is ordinarily written to be contained within the surrounding strokes, but in this case Takuan painted it to cut right through the previous stroke. This decisive quality is reminiscent of the cutting movements of a sword. 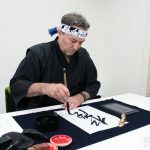 Rather than the calligraphy of a Zen Master, it calls to mind more the calligraphy of a Sword Master. Perhaps this was one of the qualities that appealed to Yagyū Munenori, and to the many Samurai who admired Takuan so deeply. We can see in Takuan’s handwriting the character of a man who was decisive, and did not hesitate to break with conventions. His character came out clearly in his final words, his Will and Testament. To the very end, he sought no fame or reputation. 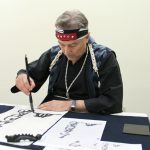 True to his spirit of defiance, after he painted the character for 夢 dream, he is said to have cast his brush aside, and then draw his final breath, bringing his seventy-some years of life to a close. First you must see deeply by observing the character itself in a state of Mushin, free of thoughts and preconceptions. Mushin is a key condition for encountering Takuan Sōhō. In his classic work Zen and Japanese Culture (Princeton University Press), Suzuki Daisetsu wrote of Takuan’s Mushin as a state of being conscious of the unconscious. It is said that there is no way to describe this mental state except through paradox, that you find the light in the darkness. There is nothing harder to grasp than nothingness. Simply begin by looking at the character. Pay attention not only to the strokes, but also to the spaciousness in between. As in Zen meditation, simply allow thoughts to come and go, without trying to fix your mind on them. Then trace the strokes in their proper order with your finger on an enlarged copy. Sense the rhythm, thickness, strength, and speed of the strokes, where they are fast, where they are slow, where the spaces converge and where they emerge. In tracing the character with you finger, you become aware of preconceptions that you could not easily perceive with your eye. The popular image or preconception of Takuan is of a man with an unfettered mind, free of attachments. But through his calligraphy you can feel a deeper pulse, an undercurrent of alertness. 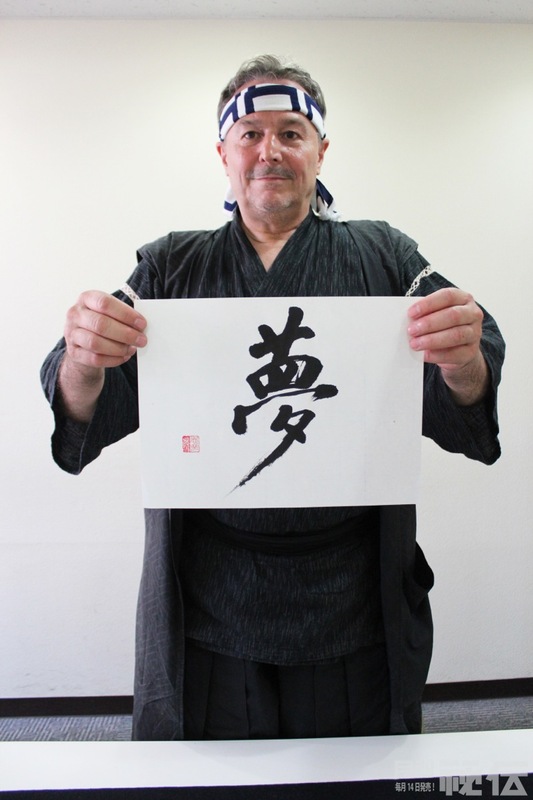 Unlike the freely flowing strokes of other Zen Masters like Musō Kokushi, the Master of Zen Gardens, Takuan’s calligraphy gives you a subtle but unmistakable sense of the cutting edge of the unfettered mind. 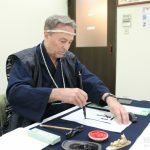 Such discoveries are part of the joy of observing and painting the calligraphy of Masters of the Samurai Era. Don’t stop at what the eye can see, but take the challenge of learning to see through the brush.